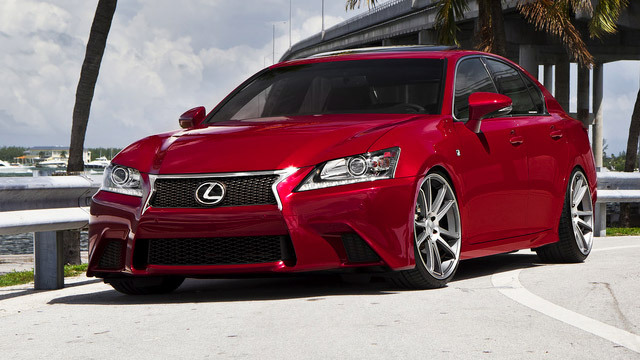 When you are seeking auto repairs for your Lexus, look no further than H-Tek Auto Care. Servicing Lexus owners near and around Johnson City and Gray, our professional and highly trained ASE-Certified auto mechanics recognize the investment you have made in your Lexus vehicle. We strive to maintain its performance with insightful inspections and develop a proactive maintenance schedule that will avoid costly, reactive auto repairs down the road. The first of the Japanese manufacturers to develop a luxury line, Toyota created Lexus in 1989 pairing their top performing engines with elegant, edgy design and innovation. Our adept and experienced auto mechanics want to help you make an informed decision when it comes to the care of your Lexus. They will perform a detailed, multi-point visual inspection of your Lexus and inform you of their discoveries so you can determine which repairs are necessary immediately and what can wait. They can also help you determine which tires are best for the varying road conditions of the seasons and the terrain you are tackling. H-Tek Auto Care backs all of our repairs with a nationwide 3-year, 36,000mile warranty because we want you to drive away feeling confident in the handling of your Lexus and we want to make you apart of the H-Tek Auto Care family. Servicing clients in Johnson City and Gray, we are proud of our five generation, auto mechanic lineage and when you utilize our shuttle service, chances are Don, Eric’s father, will be your driver. So, when your Lexus needs servicing or auto repair, come visit us at 5882 Bobby Hicks Hwy., Gray, TN 37615 or schedule an appointment online.